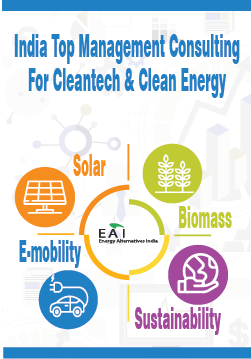 What is the right solar tariff for India – 4.78, 4.63 or 4.34? After an avalanche of low solar tariffs ending with a super low solar tariff of Rs 4.34/kWh in the latest reverse biddings held in Nov ’15 and Jan ’16, the market suddenly seems to be retracting. The recent lowest discovered tariff for Karnataka was Rs 4.78/kWh, a good 10% higher than the previous lowest. Down, down, down, and suddenly up again, that is what you see above. 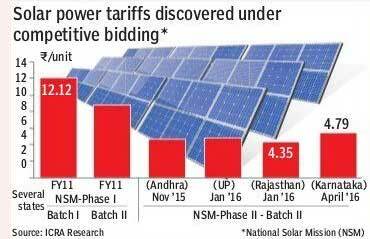 Has something changed in the market owing to which the solar tariff trend is going up? If not, the second question that arises is: Were the earlier prices unsustainable? Actually, the fact is, nothing much has changed in the market between Jan 2016 and now. Costs are pretty much the same, across the entire value chain – sure, there are minor strengthening we are seeing in wafer prices worldwide which could down the line affect cell and module prices, but these are going to be rather minor increases, nowhere contributing to 10% or nearby. Well, as nothing much has changed, but still the lowest tariff is 10% higher than the earlier, the next question is: Which is the right solar tariff? This might be a tricky question to answer. As we had argued some months back in our blog – see here and here – a solar tariff of Rs 4.63 was indeed possible, giving the developer a decent return – at that time under certain circumstances. The key challenging driver that would have made the 4.63 solar tariff possible was a lower interest cost (other drivers such as CUF are more easily feasible). A solar tariff of Rs 4.63/kWh would have given decent returns of about 11% project IRR even about 5-6 months back, if the developer is able to get the total interest cost in the 8-9% range. Take the interest cost to 11-12% and you see that the lowest sustainable tariff rises to about Rs 4.9/kWh, on lines of the current bids. So, the question is not what is the real tariff. The question is perhaps what is the real rate of interest imputed by these companies and also what are the additional incentives they might have received for the earlier allotments. It is pertinent to note that in this bidding, most companies that won at the low bids were Indian (except Fortum), while in the earlier bid winners, there were quite a bit of sprinkling of large international developers – SunEdison, Softbank, Skypower. And when you observe that you can actually get interest rates to about 8-9% when you go the international borrowing route, a pattern emerges. It is quite possible that the earlier bids for Rs 4.63/kWh (and the even lower bid Rs 4.34/kWh) are with unsustainable IRRs. I am only saying it is equally possible that with lower capital costs owing to extra incentives provided for those allotments, and with lower interest rates, there might be logical, sustainable reasons as well for the earlier lower bids. 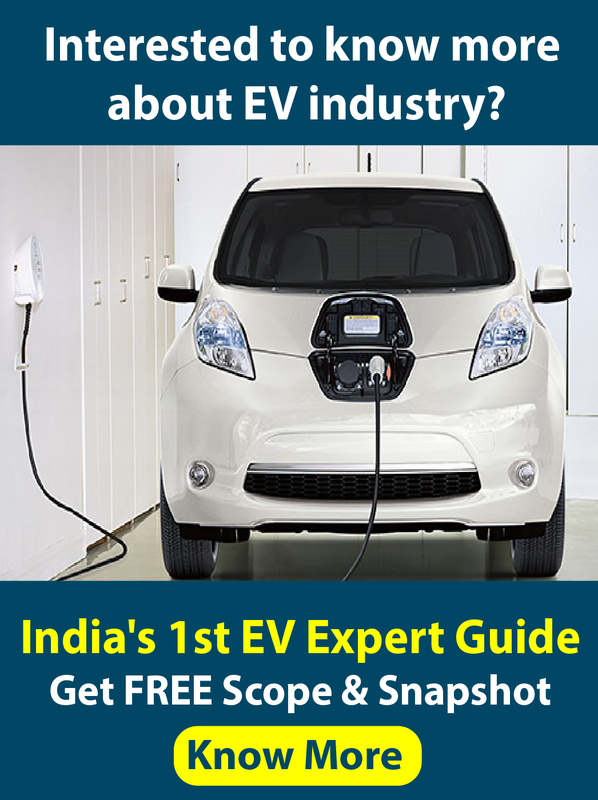 Is Rs 4.63/unit solar power price by SunEdison realistic and sustainable? may be cheaper, US$ is hardening , hence imports are not cheap. Domestic makers of panels cannot compete with imports. Any Indian player quoting below Rs 5/5.25 will be making long term harakiri.